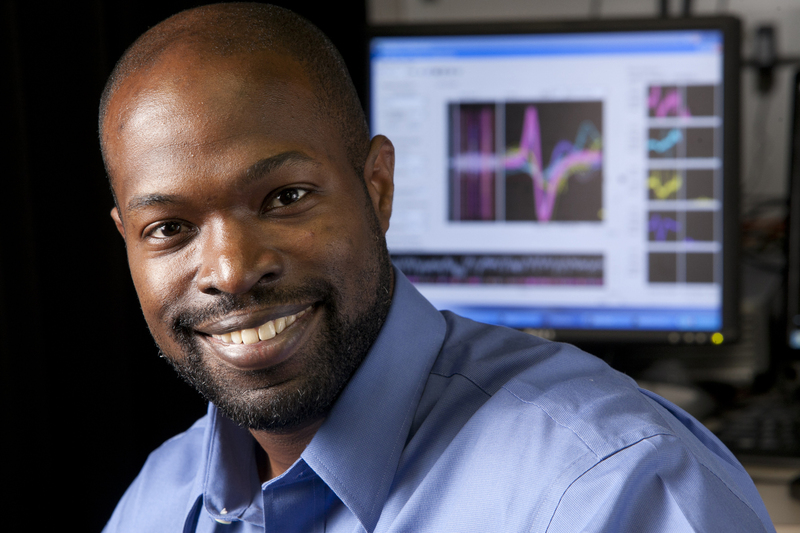 Kafui Dzirasa was the first African American to complete a PhD in Neurobiology at Duke University. His research interests focus on using neurotechnology to understanding how changes in the brain produce neurological and mental illness. In 2009, Kafui obtained an MD from the Duke University School of Medicine. He was subsequently appointed as an assistant professor. Kafui is a product of the nationally renowned Meyerhoff Scholarship program at the University of Maryland Baltimore County, where he was conference champion in the long jump, an Academic All-American, and Student Body president. Kafui has served on the Board of Directors of the Student National Medical Association: a national organization dedicated to the eradication of health care disparities. Through his service, Kafui participated in numerous programs geared toward exposing youth to science and technology and providing health education for underserved communities. He was awarded the One Mind Institute Rising Star Award, and his laboratory was featured on CBS 60 Minutes in 2011. In 2016, he was awarded the Presidential Early Career Award for Scientists and Engineers. Kafui’s ultimate goal is to combine his research, medical training, and community experience to improve outcomes for diverse communities suffering from Neurological and Psychiatric illness.